Colorful, vivacious, and historic—that’s Fiesta San Antonio. There’s not a festival anywhere that is better at combining fun, music, and heritage into a single event. Actually, it’s 100 events held over a span of 11 days—parades, concerts, coronations, art exhibits, athletic contests, and more--and half of those events are free. For the city of San Antonio it is a Party with a Purpose because each of the official events is produced by a local nonprofit organization or military unit. 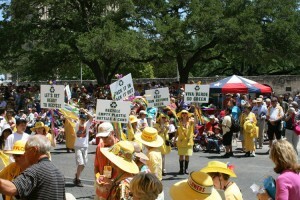 The funds raised by Fiesta events provide services to San Antonio citizens throughout the year. Fiesta started in 1891 when a group of ladies decorated horse-drawn carriages and paraded in front of the Alamo, pelting each other with flowers. It began as a way to honor heroes of the Alamo and the victorious Battle of San Jacinto, which won Texas’ independence from Mexico on April 21, 1836—and this is still celebrated. 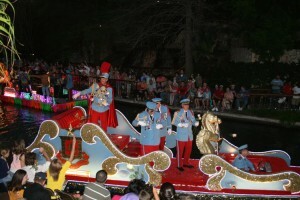 The event was so successful that it was decided to hold the Battle of Flowers Parade every year. Fiesta has evolved into one of America’s premier festivals, a celebration of San Antonio’s rich and diverse cultures, with an economic impact of more than $284 million for the Alamo City. For a complete list of Fiesta's historic ceremonies, events and activities, go here. 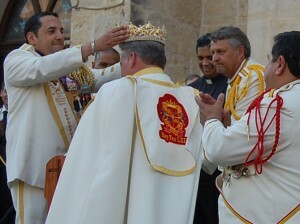 Some of Fiesta's most interesting historic events are highlighted below. The Charreada is an equestrian tradition dating to colonial Mexico when the gentry prepared their horses and riders for war. Equestrian skill as an art form continues in the culture of Charrería. This festival gives you a fascinating immersion in this age-old tradition, including athletic competitions, Mexican music, ballet folklorico and Mexican food and drink. A walking tour of the original perimeter walls of the Alamo with living historians. Dig deep into how the battle was fought and view artifacts discovered on the Alamo grounds over the years. Self-guided tour of six beautiful homes in one of San Antonio's most eclectic historic neighborhoods. During the 1920s, Monticello Park was one of the most desirable in the city and the homes were designed by some of the city's leading architects of the time. Information courtesy of San Antonio Convention and Visitors Bureau. Photos courtesy of Fiesta committee.